A Q&A on QSRs and the customer journey this morning brought out news about which many in attendance were unaware: Uber Eats is getting established restaurants to create a phantom restaurant in some neighborhoods exclusively for the app-based food delivery service. This revelation came at the end of a session designed to pick apart the way that search is involved in the customer journey. Theilen told Steve Gibson, client director of search for Canvas Worldwide, that, often, search gets overlooked in the restaurant space, which is focused on branding versus some of the traffic that search is driving. Restaurant discovery has evolved not only with Yelp but with delivery partners like DoorDash and GrubHub. Consumers are discovering restaurant through those companies’ apps. They’re ooking for the path of least resistance. They tap a couple buttons and get food delivered to their door, bypassing the duopoly of Google and Facebook. When consumers search for a certain keyword and see generic ad copy that comes up for company as a whole, they won’t click on it. The best thing is to make sure of the user’s intent and to tailor ad copy to make sure to leverage that. 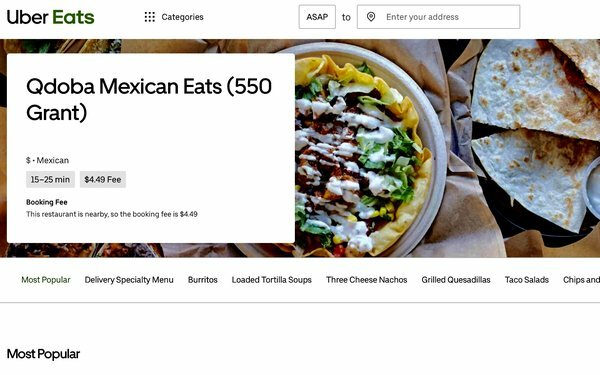 Restaurants don’t know how best to leverage the Uber Eats, etc. “These people are taking a margin of your check. Do you see that as being held hostage or do you see it as an opportunity to be there when people scroll through the available restaurants,” said Theilen.